Sir Max Hugh Macdonald Hastings FRSL FRHistS (/ˈheɪstɪŋz/; born 28 December 1945) is a British journalist, who has worked as a foreign correspondent for the BBC, editor-in-chief of The Daily Telegraph, and editor of the Evening Standard. He is also the author of numerous books, chiefly on defence matters, which have won several major awards. He lives in Hungerford with his second wife Penelope (née Levinson) whom he married in 1999. Hastings has a surviving son and daughter by his first wife, Patricia Edmondson, to whom he was married from 1972 until 1994. In 2000, his 27-year-old elder son Charles took his own life at Ningbo in China. He dedicated his book Nemesis: The Battle For Japan 1944–45 to his son's memory. Das Reich: The March of the 2nd SS Panzer Division through France, June 1944 (2 ed.). Minneapolis USA: Zenith Press. 2013 . ISBN 978-0-7603-4491-0. Catastrophe 1914: Europe Goes to War. London, Knopf Press, Release Date 24 September 2013, ISBN 978-0307597052, 640 pp. Vietnam: An Epic Tragedy 1945-1975. William Collins, 2018. Hastings, Max (16 January 2010). "The Tory defence policy will be simple: cut, brutally". The Spectator. Retrieved 3 November 2010. ^ a b "Hastings, Sir Max (Macdonald), (born 28 Dec. 1945), author and journalist". Who's Who. 2007. doi:10.1093/ww/9780199540884.013.19444. ^ "- Person Page 668". thepeerage.com. ^ a b "Biography". Max Hastings. 18 January 2013. Retrieved 25 August 2014. ^ Lloyd, John (29 July 1997). "Secret members of the Other Club". The Times. p. 13. 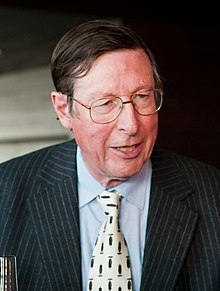 ^ "Britain's Max Hastings wins $100K military writing prize". CBC News. 19 June 2012. ^ Walker, Frank (2 December 2007). "Mutinous jibe angers veterans". The Age. Retrieved 3 December 2007. ^ van der Vat, Dan (13 October 2007). "Review: Nemesis by Max Hastings". The Guardian. Retrieved 9 February 2014. ^ Howard, Michael (3 October 2007). "The worst of friends". The Spectator. Retrieved 9 February 2014. ^ Hastings, Max (11 April 2010). "My vote". The Guardian. Retrieved 16 May 2018. ^ "Celebrities' open letter to Scotland – full text and list of signatories". The Guardian. 7 August 2014. Retrieved 25 August 2014. ^ Steele, Jonathan (22 September 2018). "Vietnam by Max Hastings review – an effort to exonerate the US military". the Guardian.